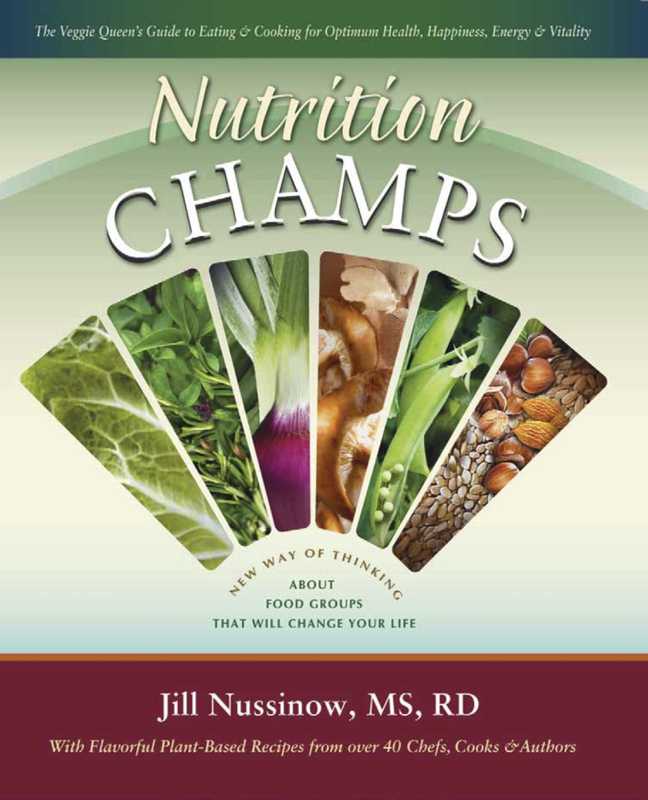 Today I am reviewing a new cookbook by Jill Nussinow's, Nutrition CHAMPS. 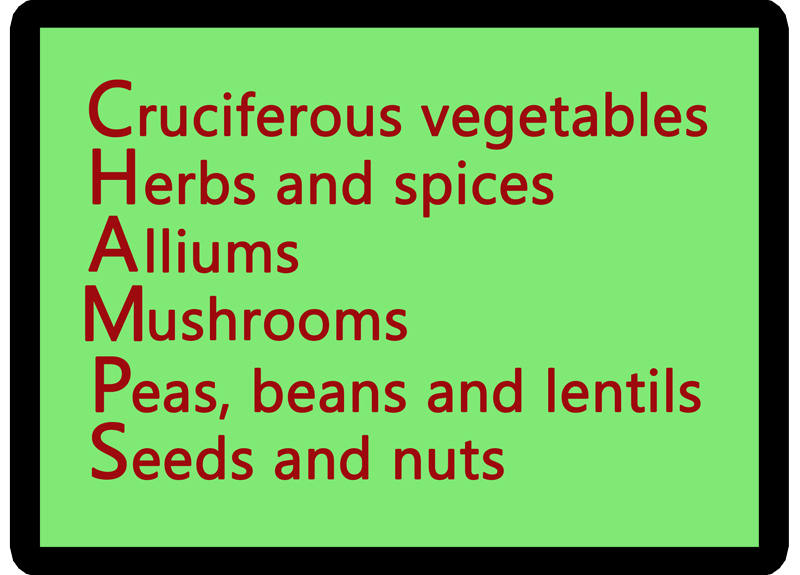 CHAMPS stands for Cruciferous vegetables, Herbs and spices, Alliums, Mushrooms, Peas, beans and lentils and Seeds and nuts. Jill says that these are the components of a healthy lifestyle. Jill is a Registered Dietitian and has been teaching healthy eating for over 25 years. 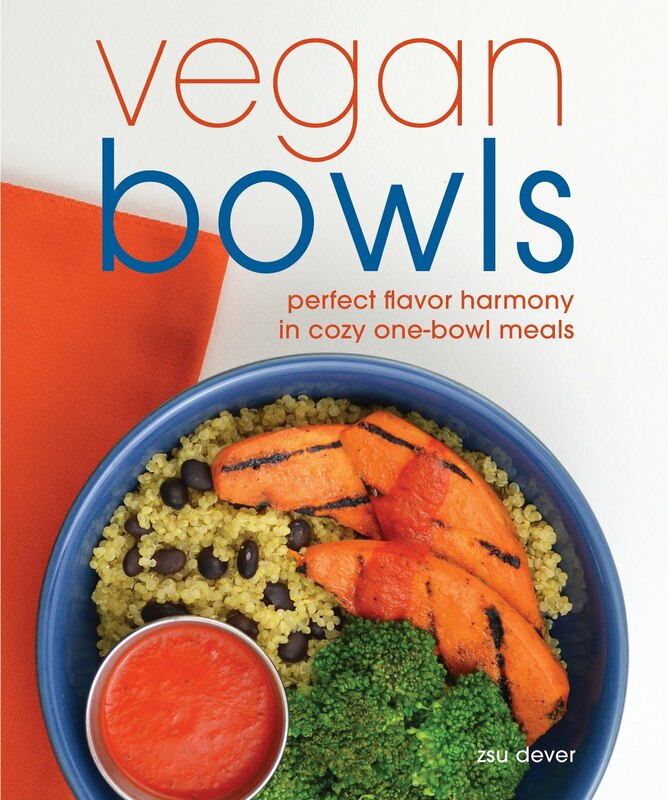 She is the author of The New Fast Food, a pressure cooking cookbook and The Veggie Queen. 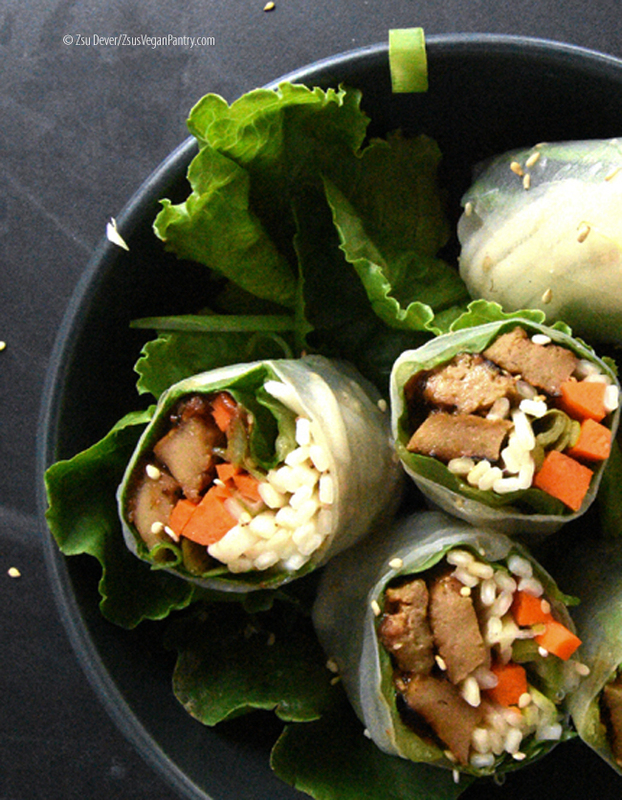 In fact, she is popularly known as the Veggie Queen. CHAMPS is a healthy cooking cookbook, ranging from raw to pressure cooked foods, from breakfast to dessert and the book contains recipes from over 45 authors, bloggers and chefs, including Jill herself, Robin Robertson, Dreena Burton, Kathy Hester and Chef AJ, just to list a few. The book is available as an ebook or paperback. 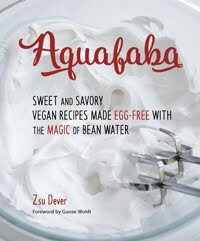 The recipes are low-fat and most are gluten-free! The only note of concern to some folks might be that, while there are beautiful illustrations by Emily Horstman, there are no actual photos in the book. 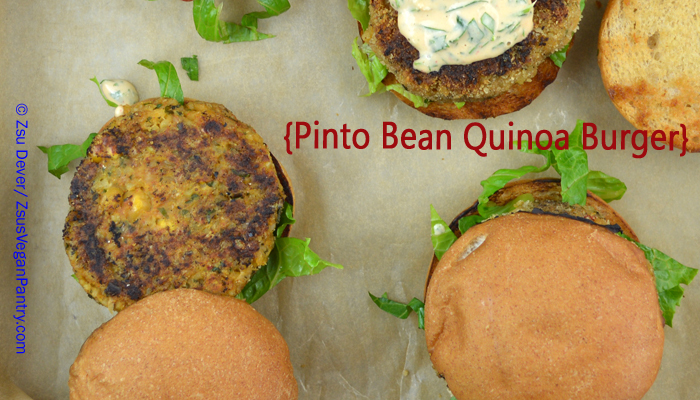 Jill has offered an international giveaway for the ebook, so after you make and enjoy the Pinto Bean Quinoa Burger below, enter to win the cookbook via Rafflecopter. This will likely work with any cooked grain or bean with slight adjustments in amounts. I developed this recipe for one of the many Barbaras in my life who wanted something tasty and easy to eat. Put the quinoa, beans and onion in the food processor. Pulse a few times until slightly mixed. Add the garlic, cumin, herbs, yeast, and salt, if using. 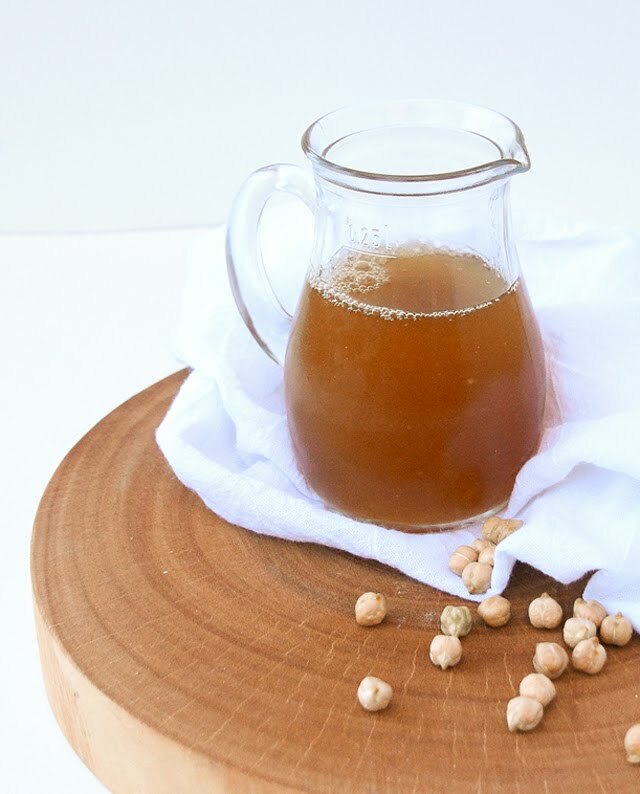 Pulse again, adding 1–2 tablespoons bean liquid, stock or Bragg Liquid Aminos if it needs it. Stir in hemp seeds. Form into patties. If the mixture doesn’t feel thick enough, add more quinoa and combine again. Bake on oiled baking sheet for 10 minutes. Turn over and bake another 10 minutes. Eat, refrigerate or freeze. this would be an awesome thing to win! I love pressure cooking! I would love to add this book to my collection! 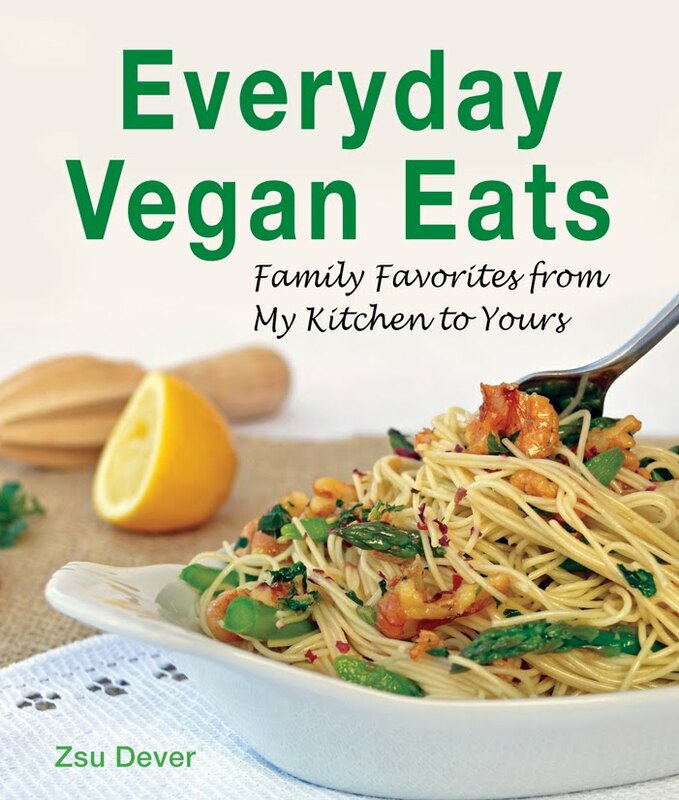 I am new to vegetarian, this would help! Needed a burger recipe, thank you! This book looks amazing. I love the concept of CHAMPs.